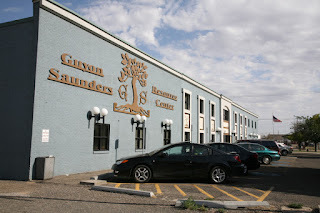 With help from a $20,000 grant from the Xcel Energy Foundation, the future of the Guyon Saunders Resource Center is looking a little brighter. More than 2,200 men, women and children were welcomed into the Guyon Saunders Community Day Room in 2018, where they had a place to wash clothes, take hot showers, access the Internet, make phone calls and take care of other routine tasks that most people take for granted. Ultimately, the center seeks to guide these individuals to self-sufficiency. Beyond these basic services, the center assists clients with job applications and coaches them on the interview process. Clients also have access to services that help them obtain housing and furnishings. “On behalf of the Guyon Saunders Resource Center Board and all those we serve, we appreciate the support of Xcel Energy. The homeless community faces many challenges on a daily basis. Xcel Energy has a great reputation as an outstanding community partner and this is another example of their compassion and concern,” said Michael Hooten, Ed.D., chairman of the Guyon Saunders Resource Center board of directors.